Sometimes the worst is not bad enough. Or such is the case for Nigeria’s currency, which nosedived by 30% when the central bank first removed its peg to the dollar on June 20th. The naira is now this year’s poorest-performing currency in Africa. Internationally, Nigeria's Naira is only better than the currencies of Venezuela and tiny Suriname. Yet were the Naira truly free, it would be weaker still. In fact, the naira’s free float seems to have lasted exactly a day. Since its sharp drop on the first day of its devaluation, the currency has more or less flatlined at about 282 per dollar. 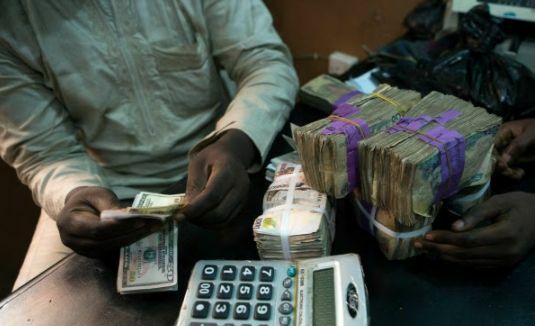 This is rather odd given the pent-up demand for dollars after the central bank governor, Godwin Emefiele, restricted the supply in a bid to defend the currency at its old peg of 199 to the dollar. Many analysts expected it to plummet as low as 350 (inter-bank) when businesses hoovered up a backlog exceeding $4billion. Bankers say this stability came about after the central bank sold dollars and traders were bullied by it to keep to an unofficial peg. “If you want to sell or buy higher than the managed peg, life will be made difficult,” says the former CEO of a bank. So why did the central bank ignore its own policy on allowing a float? According to The Economist, the most plausible explanation is that Emefiele has been kowtowing to President Muhammadu Buhari, who fears a weak currency. But these sorts of flip-flops hardly reassure foreign investors, whose dollars Nigeria desperately needs to fill a gaping trade deficit. Nor do they encourage Nigerian exporters to repatriate foreign exchange, since they still expect a further fall in the value of the local currency.